2009 that features the works of collector and quilter Florence Peto. collection and on loan from a direct descendant. The photo is the Museum’s. I just came across photos of the winning quilts from the Images 2008 Quilt Show in Lowell, Massachusetts. This show is now an annual event as a part of the Lowell Quilt Festival. 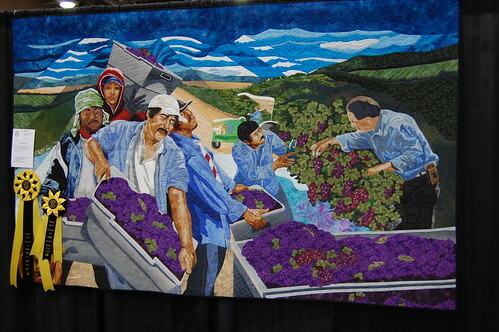 “Grape Harvest”, winner of the $3,000.00 Best of Show award sponsored by Hoffman California Fabrics. Entered by Gina Perkes of Payson, AZ. The quilts and garments are fabulous! You can go to this site and make your own virtual quilt. It’s fun! 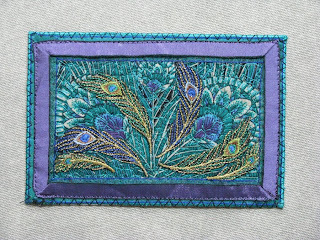 This is a part of the web site of the International Quilt Study Center and Museum at University of Nebraska – Lincoln. The exhibit will be on until March 1, 2009, at the Birmingham Museum of Art in Birmingham, Alabama. News File/Tamika Moore Lisa Stewart prepares for the “Fabric of Life” exhibit. 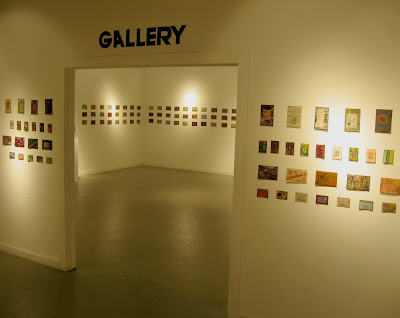 The exhibit is on from January 7 – March 1, 2009. “Sedrick Huckaby: A Love Supreme” is also on exhibit through March 1, 2009. The Danforth Museum of Art is located in Framingham, Massachusetts. CYBER FYBER EXHIBITION is an international fiber arts event at Gallery 80808/Vista Studios, 808 Lady Street in downtown Columbia, South Carolina, on view from January 8th through 20th, 2009. The focus of this exhibition is to highlight the influences of Internet access for today’s fiber artists. The photo of the exhibit is Gallery 80808’s. See: http://cyberfyberexhibition.blogspot.com/ for more information. http://cyberfyberonlinepostcards.blogspot.com has photos of the postcards.